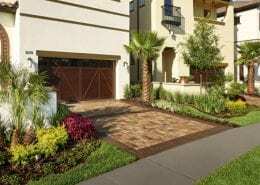 A leader in hardscape designs, irrigation, & landscape design for over 20 years, BLG Environmental Services enhances the horticulture of the Central Florida region including Orlando, Winter Park, Windermere, Maitland, Longwood, Lake Mary, Heathrow, Sanford, Oviedo, Altamonte Springs, and Apopka. Our passion is helping homeowners and builders create lasting and inviting landscape designs in creative and affordable ways. We understand that each client’s lawn or garden is unique so we take the time to focus on all aspects of a project from initial planning and consultation to installing irrigation systems and landscaping with rocks and boulders. Our safe, efficient, and professional staff will beautify your natural spaces by using only the highest quality materials and this commitment to quality and service means your vision is our reality and your satisfaction is our guarantee. We invite you to explore our site and discover how BLG Environmental can add beauty and value to your landscape design. Ready For a Consultation or Makeover? 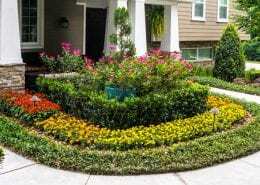 BLG Environmental Services is the complete, one-stop residential landscaping resource for home owners throughout Florida. We provide complimentary consultations, offer competitive pricing and deliver full-service solutions which eliminate the need for multiple contractors on your property. 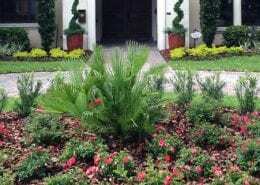 BLG Environmental Services is the complete, one-stop commercial landscaping resource for builders throughout Florida. We provide complimentary consultations, offer competitive pricing and deliver full-service solutions which eliminate the need for multiple contractors on your property. Designing a unique landscape that elevates your quality and enjoyment of life is our passion at BLG Environmental Services. Using the proper layout, patterns, textures and colors, we distinctively make the outside elements blend with nature and the architecture of your home or business. Whether you want a change of scenery or a complete landscaping overhaul, our team at BLG Environmental have you covered. Contact us at 407-702-7905 for a free, no-obligation consultation.